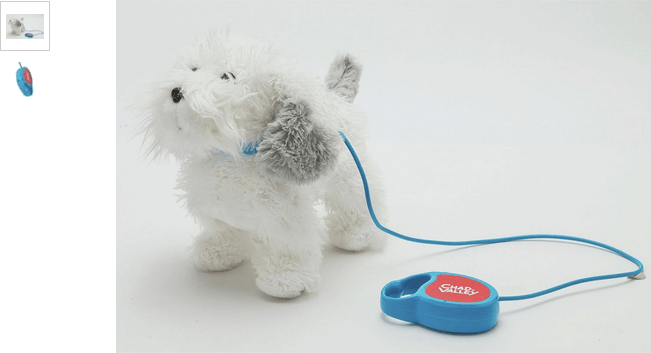 Take your own, cute little dog out for a walk without leaving the house. The Chad Valley Walk with Me Dog will bark and walk with you at the touch of a button. One supplied. Size H23, W23, D13cm. Batteries required: 3 x AA (not included) plus . For ages 3 years and over. WARNING(S): Not suitable for children under 3 years old. Only for domestic use. To be used under the direct supervision of an adult. Contains no. Get money off with April 2019 free Argos voucher codes, see if there's a promo code for the Chad Valley Walk With Me Dog product. Argos may be out of stock of this product. To enhance your shopping experience you may also be redirected to a search results page when you click an outbound link.